Most people have heard of Eric Gill, the great letter cutter of the first part of the last century. He carved the Stations of the Cross at Westminster Cathedral and the Ariel figure for the BBC as well as many inscriptions. Others may know of his type designs including Gill Sans and Joanna, the latter named after his daughter. Fewer people know of his brother, MacDonald Gill, known as Max. He created very lively and colourful maps, posters, logos and typefaces too. 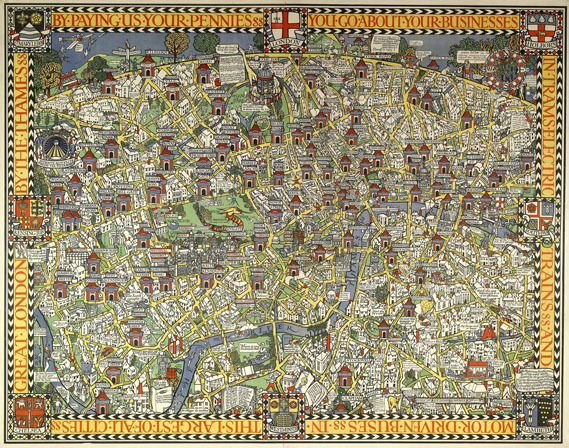 This is one of his maps – London Wonderground. There is to be a new exhibition on his work opening next month. Many of the exhibits were in the loft of the cottage where he lived with his second wife, Priscilla Johnston, daughter of the Master Calligrapher Edward Johnston. Her nephew, Andrew, inherited the cottage and found the originals tucked in all sorts of hidden places – not only in the loft but also under tables and hidden in wardrobes. 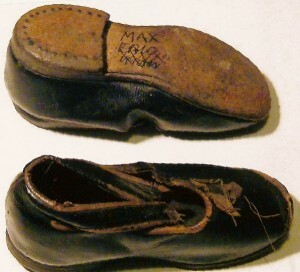 A rather sweet exhibit will be his shoes, where the name ‘Eric’ as well as ‘Vernon’ (another brother) have been crossed out and ‘Max’ scratched on in replacement. I suppose with 13 children in the family hand-me-downs are inevitable. The exhibition is at the Pitzhanger Manor House, Ealing, a Grade I listed building designed by John Soane in 1800, and looks worth a visit on its own! 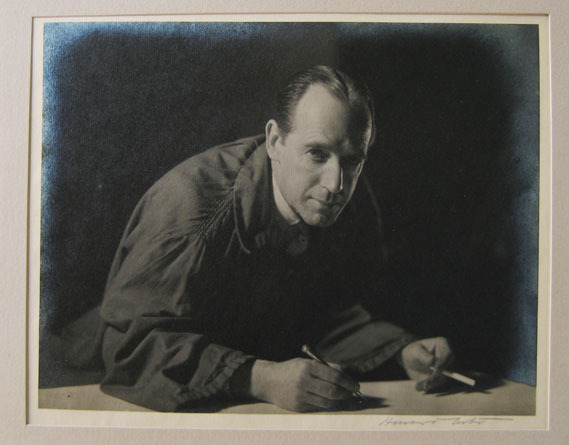 Out of the Shadows: MacDonald Gill will open at PM Gallery & House on 20 September until 2 November 2013. For visitor information and opening times, see http://www.ealing.gov.uk/pmgalleryandhouse. To see more of Gill’s work, visit http://www.macdonaldgill.com. This entry was posted in Blog, Exhibitions and tagged exhibition, Gill, maps, posters, typeface on 28 August 2013 by Administrator.